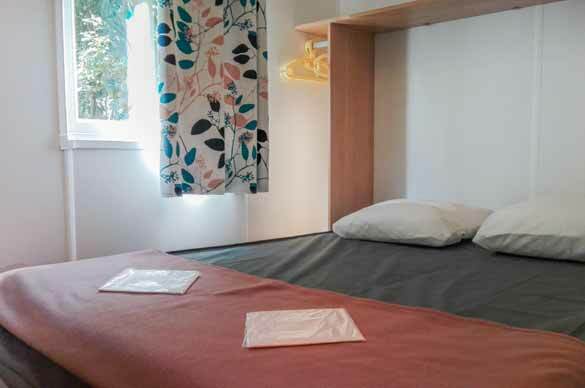 The canvas cottage combines affordability and comfort. 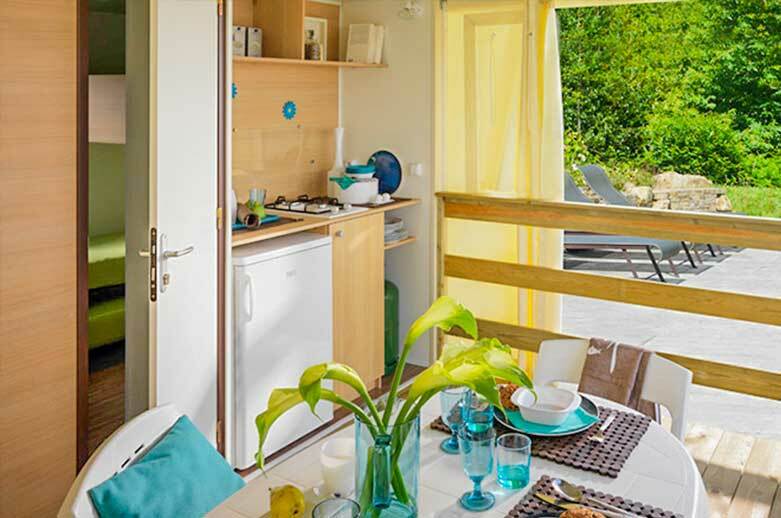 It allows vacationers to enjoy an original accommodation with the comfort of a mobile home. Perfect for a family holiday close to nature. 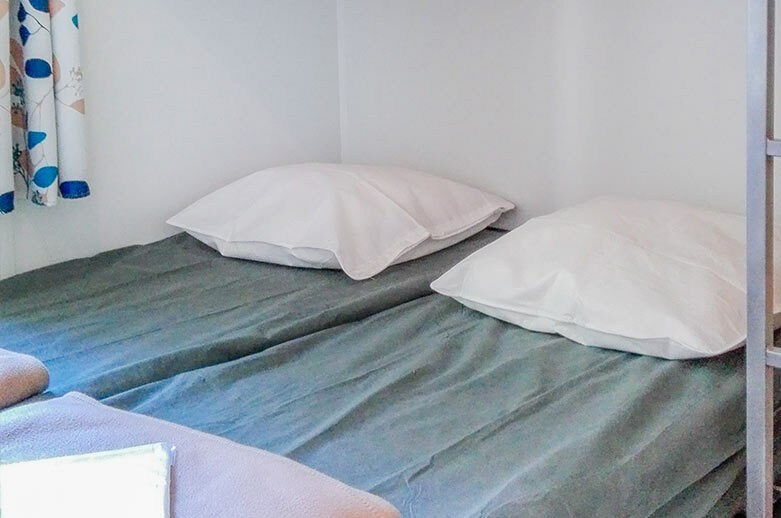 This accommodation has neither toilet nor running water but it is equipped with a kitchen. 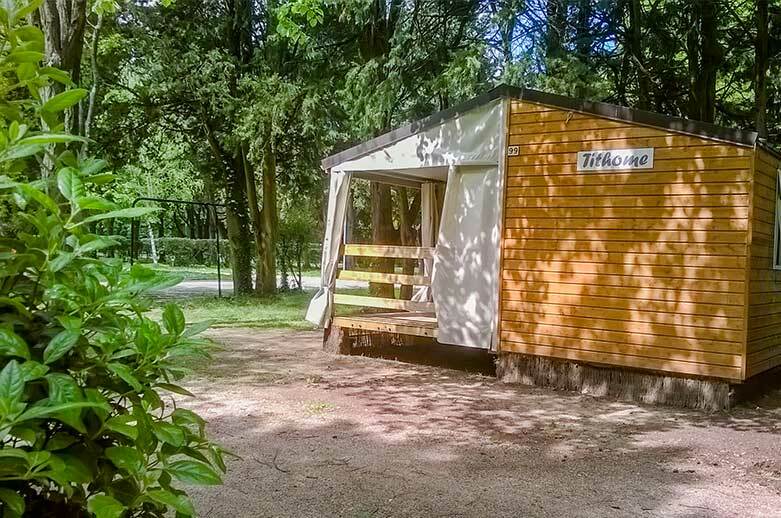 The canvas cottages are close to bathrooms and well located in a shaded campsite.